Rated 5 out of 5 by Yurnmesis from Excellent Graphics.Great HO and Mini's. Overall a 5 game! Excellent graphics, HO games and mini games! Overall a 5 game! The storyline based on the literature of Charles Dickens was very interesting and often the unexpected occurs. I thought it a great change of pace from the macabre and sinister. A book held by the villain transports you to a different literary chapter which was entertaining. Shadow graphics is a one of the mini-games you play to advance.You have to put people, items and locales in the right order to move on to the next one and it wasn’t difficult but it was unique. Experiences in HO and mini games are sometimes surprising and very well developed. The bonus game was well done and just as enjoyable as the rest of the game. This game was a pleasure to work through and fun to see what was around the next corner. Rated 5 out of 5 by purplejaded from Very Enjoyable! I loved playing this game! The story line kept me interested up to the end. The graphics are excellent, and really add to the atmosphere. The mini games are not too easy, and it's refreshing that they are more original than those found in many games. I especially liked the kaleidoscope one. I was enjoying it so much, I was actually sorry when I finished the game! I immediately searched for more Game Forest titles in this genre, and am looking forward to more from this developer. Rated 5 out of 5 by rondakbandy from What a fun game! I found the story to be unique, It's my first where famous authors disappear. Pro's Customizable dificulty levels so I was able to turn off the sparkles. The HOG's are a mixed bag but they use the whole room with pockets of items. Very new for me. The graphics are really good, I love all the color. The mini-games were not difficult which I prefer. I'm playing to relax, I'm not interested in doing mental gymnastics. Cons: I so don't need the singing ghosts. Overall a great game. Rated 4 out of 5 by samysam1313 from Unique Story I just finished playing this game. It has a lot of unique ideas in it. Different kind of story and many unique games I have never seen before. The story tends to jump from one to the other but all in all it follows pretty well. The graphics aren't the best but hey, it's an older game and set in older times, so it fits with the stories. I actually enjoyed playing it. It's quite a long game as well. The only reason I didn't give it 5 stars is because one type of story-line mini game was repeated a bit too often. I think it was in each one of the stories. I'm not a big mini game fan but managed to do most of the ones in this game. I thought the devs to be quite creative in this game. It was different than any other game I have played so far. It is a bit of a dark story but it has no violence and nothing gruesome. Not a lot of HOS but here is still plenty to keep you busy. It does have a jump map and I always use those. Beats trying to remember where you've been and where everything is. There were a few times I was stumped as to what to do so the hint is a plus. I found it to be a relaxing game overall. There is a Custom setting for those who like a fast hint recharge and a fast mini game skip. Everyone has different tastes, so try it before you decide. I see so many people rate evil and scary stories as 5 stars and personally I don't care for the dark and negative. This one is a bit on the dark side but not in a scary way. Rated 4 out of 5 by denniann2 from playing with great literature you are following the villians in charles dickens and washington irving's books. they are collecting souls of people along the way out off the different books. i have played better games but this was very acceptable. it had an interactive map and a journal as well as a "custom level". i got confused a few times because when i pushed the hint button it seemed to be highlighting an item in the room and it was sending me out of the room but then when i went out it sent me back in. took me quite a few times to figure that out and once i had to consult the walkthrough. very good, though. Rated 4 out of 5 by judeejuju from A little different. I really enjoyed this game. Some have said it was slow, but I found it more relaxing. It had some interesting twists on the usual HOs and lots of puzzles which was good. It was a nice length of game play too. Give it a try. Rated 4 out of 5 by pennmom36 from Fiction Or Non-Fiction? People say the classics never die, but are they ever rewritten? Anything can happen at the stroke of midnight, because this is when the ghostly visitations frequently occur. They come to you seeking your help to right the wrongs they have endured in the afterlife, and sometimes during their time on earth. Somethings different this time, this time it seems evil. Washington Irving was a famous writer, a ghostwriter who wrote several classics under a different pen name. Several characters from his books began to pay him a visit, his imagination had literally come to life, unfortunately, not everyone was happy with their characters demise! He thought perhaps his good friend Charles Dickens, was experiencing similar situations, so he asked Charles for his help...and he was never seen again! A young girl named Mary, the daughter of Charles Dickens, is seeking your paranormal services to find out what happened to her father that fateful night. You will enter the scenes of these classic literature adventures, page by page, as you search for clues written by the authors themselves, and try to put a stop to these evil characters before the classics are forever rewritten! This MM episode comes with your very own pet Raven who waits patiently for your command to fly to unreachable locations and retrieve those objects that mysteriously got there in the first place. You will also notice that some of the inventory items require some type of interaction before you can use that item such as combining two inventory items together. The Collectors Edition has 56 hidden four leaf clovers and 45 collectible Raven Coins. 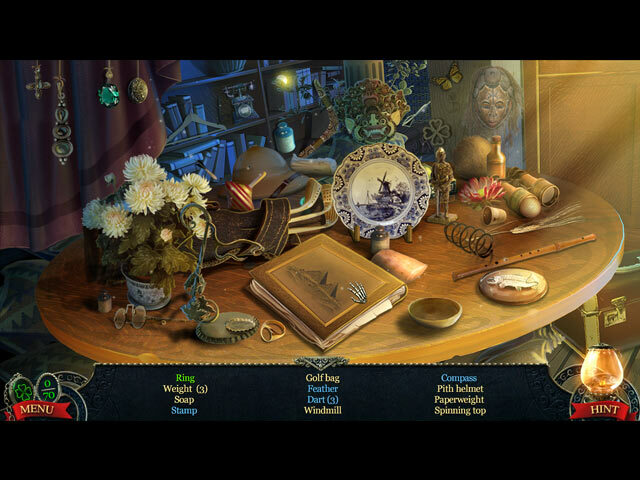 The Hidden Object Scenes range from interactive list finds to progressive silhouetted shapes where you find the first item and use that item to uncover the next item and so forth until all items have been found. The mini games are nice, rearranging books on two different bookshelves, the first row requires you to match symbols on the binders so that the last symbol on the first book matches up to the first symbol on the second book etc. The second shelf has books with sections of a picture that you arrange to complete a picture. My favorite game was using several tetris shaped tiles to fill in all empty spaces around an existing shape in the middle of the board without leaving any gaps. The Collectors Edition has Before And After sketches, which was really awesome seeing the original rough draft sketch of a scene in the game, then the same sketch in color and finally the computer generated picture! There are also Achievements to earn, Cutscenes, Music, the Backstory, Characters, Wallpapers, Tic-Tac-Toe raven games, 56 hidden Clovers, 45 (not so) hidden Raven Coins, a built in Strategy Guide and a Bonus Chapter. 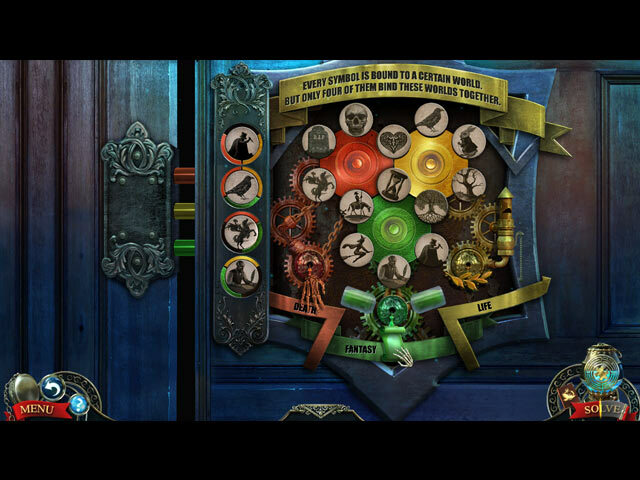 Both editions allow you to choose which mode of difficulty you want to play the game, as well as a Custom setting where you choose which features you want, I thought it was clever that they used a new hatchling raven for Beginner, a young raven for Advanced, and a mature and wise raven for Expert, the Custom setting just had gears and a raven skull (what's that mean?) Enjoy! 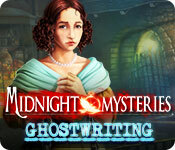 Rated 4 out of 5 by Magda640 from A good beginner game This review is based on the trial. This is a good game for beginners because it is not frantic. Yes, some scenes are very slow: eg, the singing statue. The song was pleasant, but the subtitles took a long time to catch up to the melody. As for the argument over the terms "rowlock" versus "oarlock", it is just a matter of which side of the Atlantic is pertinent to you. Rowlock is the UK term for the American oarlock. Not something to nitpick. 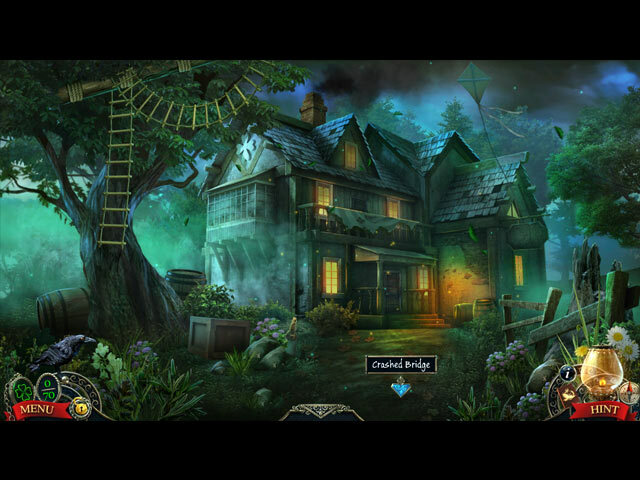 This game is not one of the better Midnight Mysteries, but it is on a par with Witches of Abraham, which I purchased even though it was just average. Not everyone is a whiz at these games, and it should at least be tried. Rated 3 out of 5 by megajacksmum from midnight mysteries As my rating shows it was O.K......I've played worse..definitely !!!! If you like games that are somewhat slow and ponderous this is your game, otherwise look elsewhere.....all the same it's worth checking out, you never know it MAY float your particular boat.....sorry for the sailing analogies.....but I have to clear something up.......it's ROWLOCKS !!!!!!! The oars go in the ROWLOCKS so you can ROW ! !